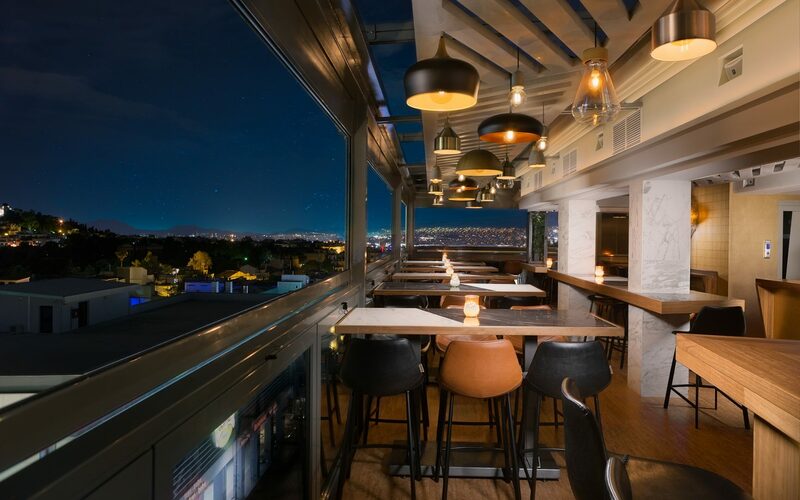 Right next to Monastiraki Metro Station, A for Athens offers a rooftop bar with a stunning view of the Acropolis. 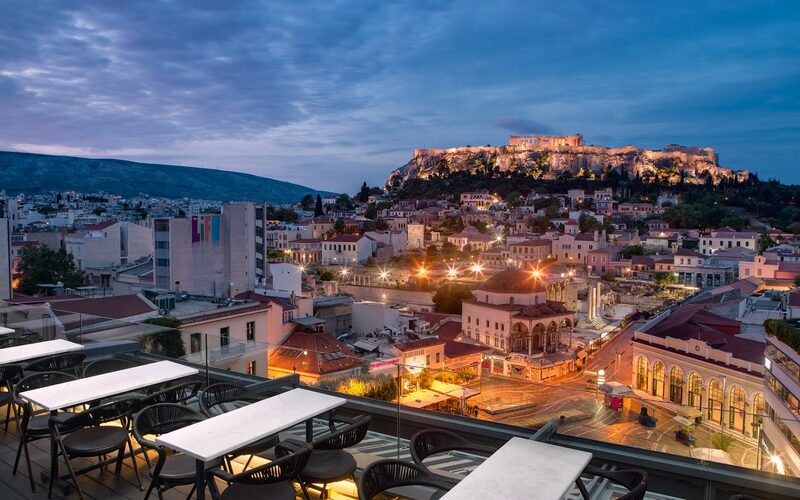 Nightlife districts of Psirri, Monastiraki and Plaka are a 5-minute walk. 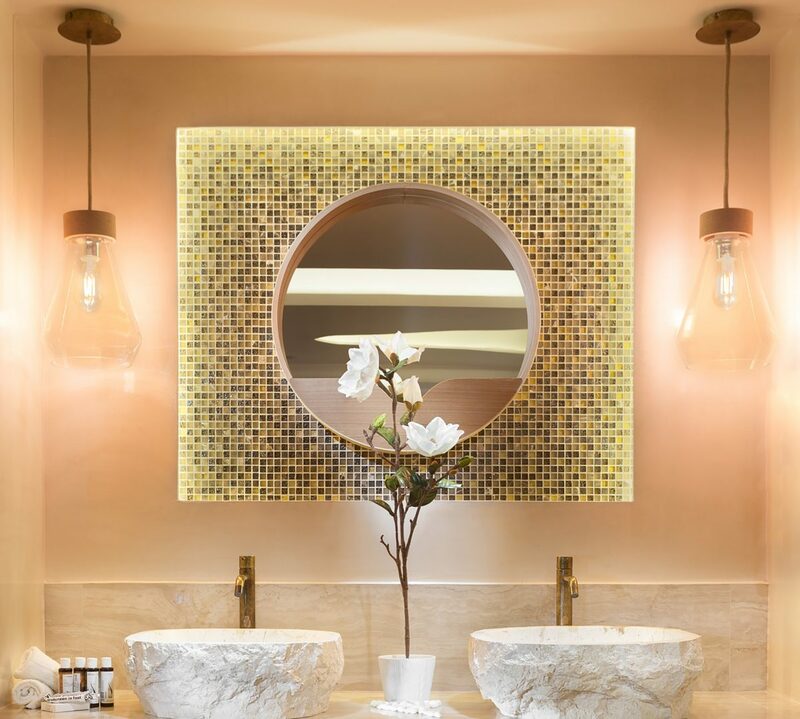 The stylish rooms feature a modern bathroom, a flat-panel TV and designer furniture. 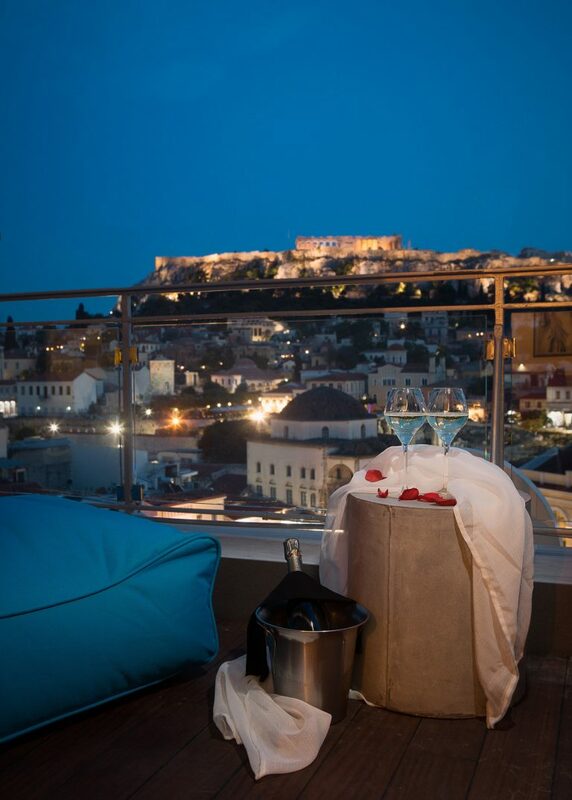 The large windows allow for plenty of sunlight and stunning city views, while some rooms face the Acropolis. Wi-Fi is free in the entire hotel. 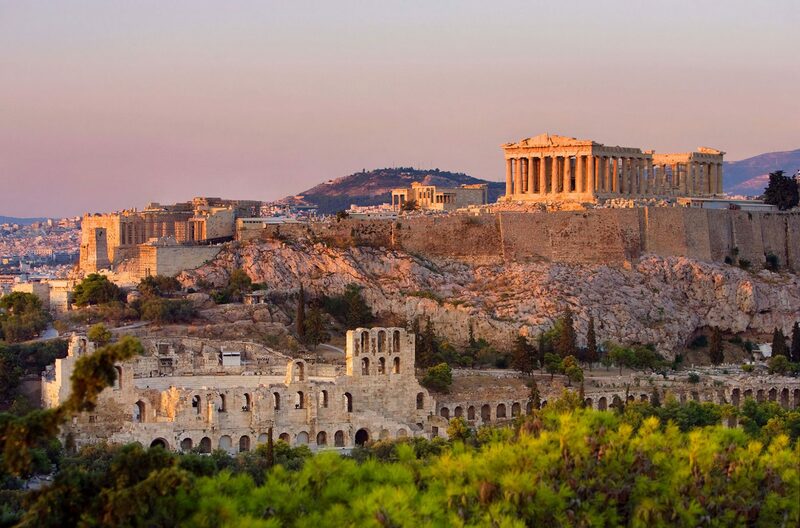 A for Athens’ has a convenient location at the heart of the historic centre. 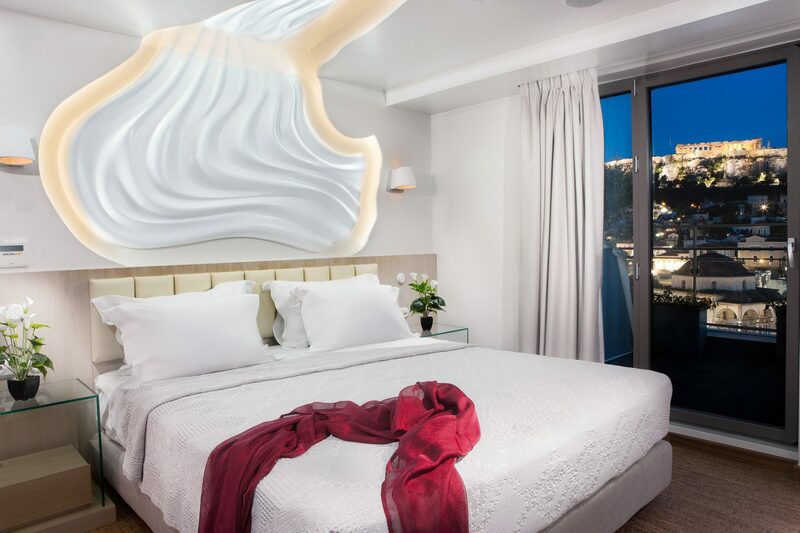 Each of the 35 rooms is comfortable and elegantly designed, with a contemporary greek twist and an attention to detail. 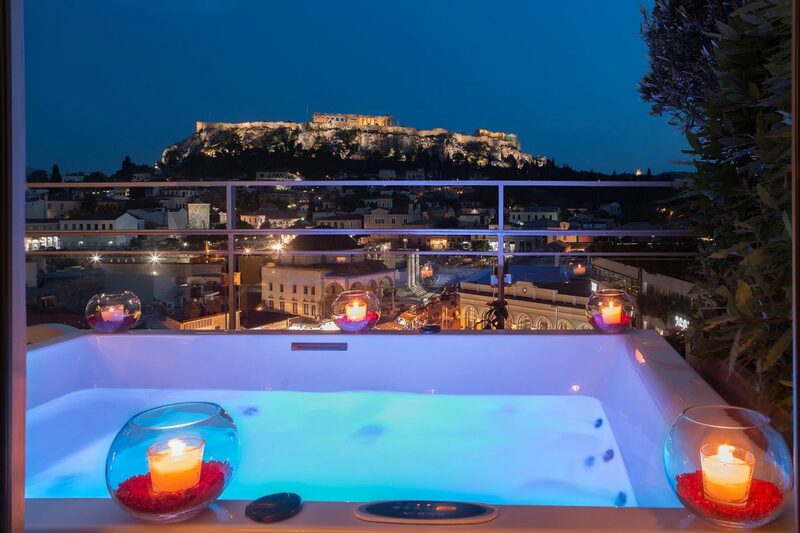 At A for Athens there are no extravagant luxuries, but you will get a view to the Acropolis even while you take your shower or ideas on places to visit while in your room. 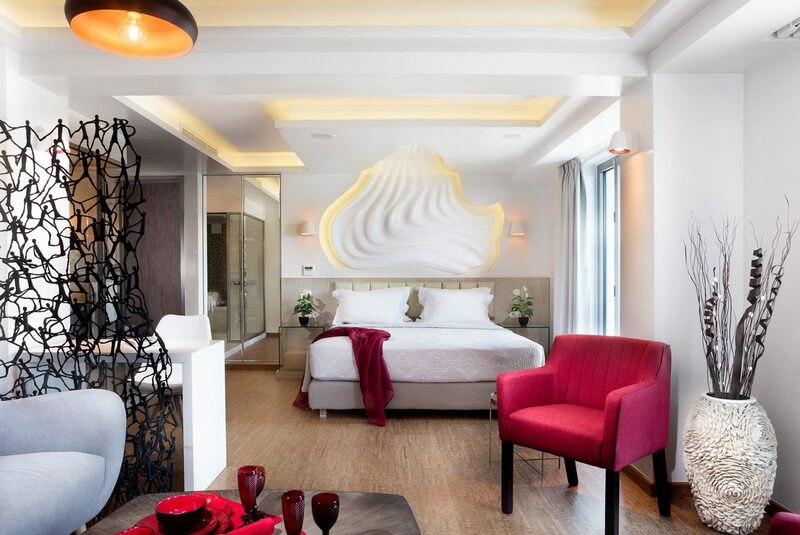 Choose one of the room types, Wide View or Homy, for more information and room facilities. 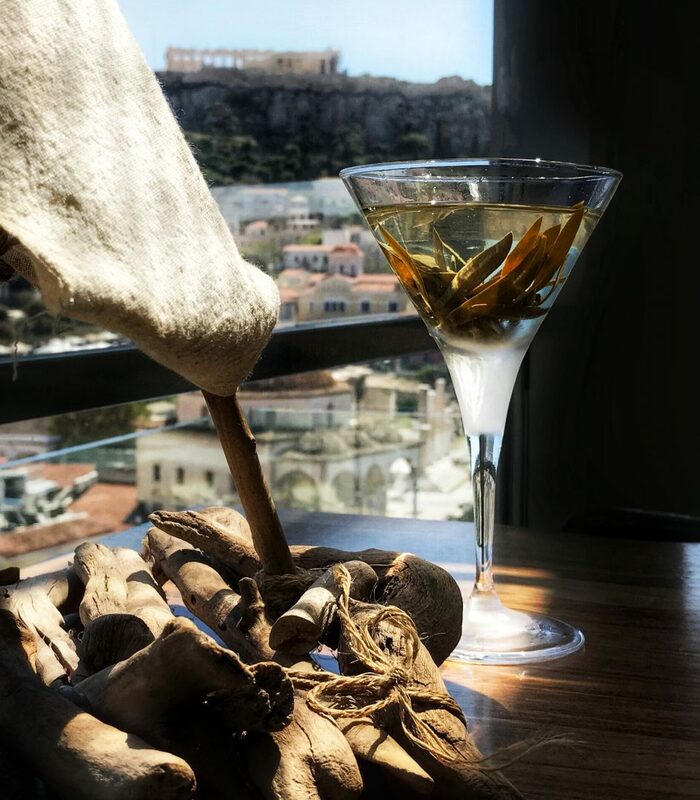 On our top floor, we created an urban terrace, with the most stunning view to the Acropolis, Plaka and Monastiraki Square. An ideal place to have your breakfast in the morning or enjoy our house special cocktails at night. 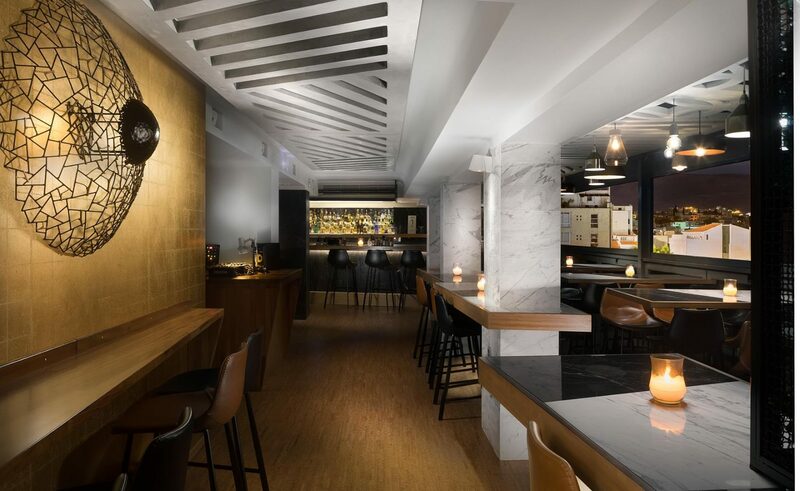 Minimal design is set to enhance your viewing experience and our menu is created with special care, with emphasis on local and healthy ingredients. Next to everything with a bonus view to Acropolis. 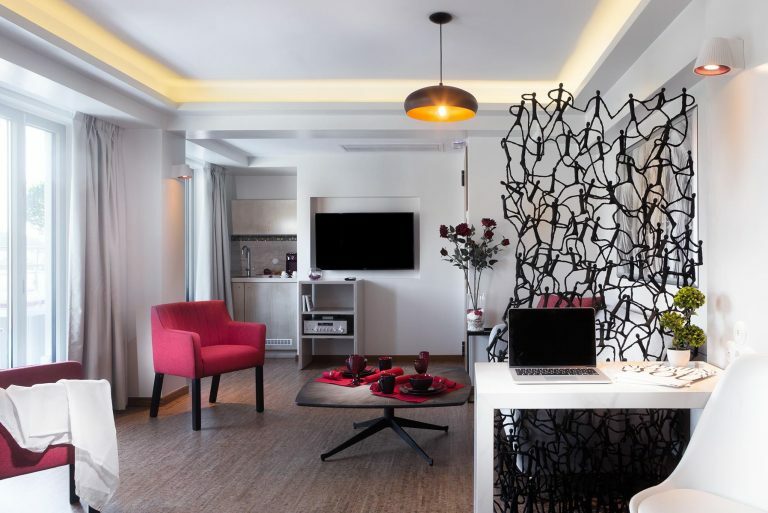 There is no other place to stay in Athens, where both the city’s attractions and main public transport are in walking distance. 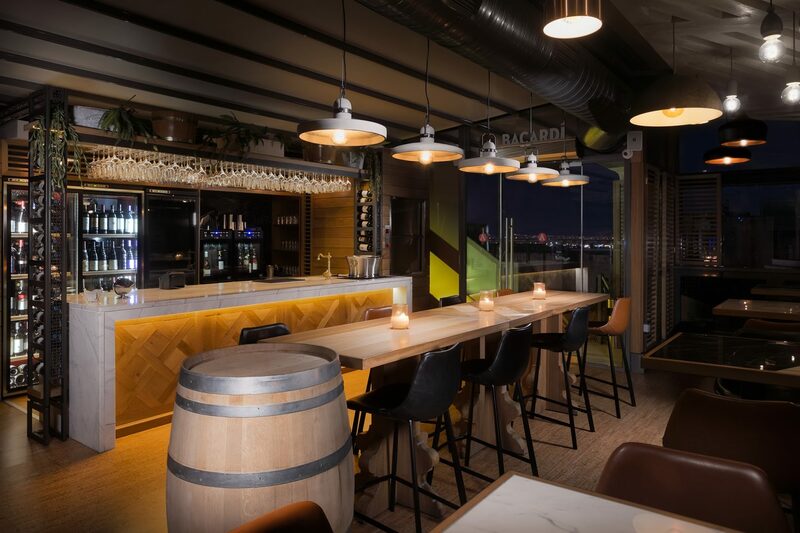 We are just above Monastiraki Square, next to the metro station – that will ease your transportation to and from the airport and Piraeus port- above the city’s busiest shopping street, next to Plaka and Psirri and 10 minutes walk to Syntagma and Gazi. 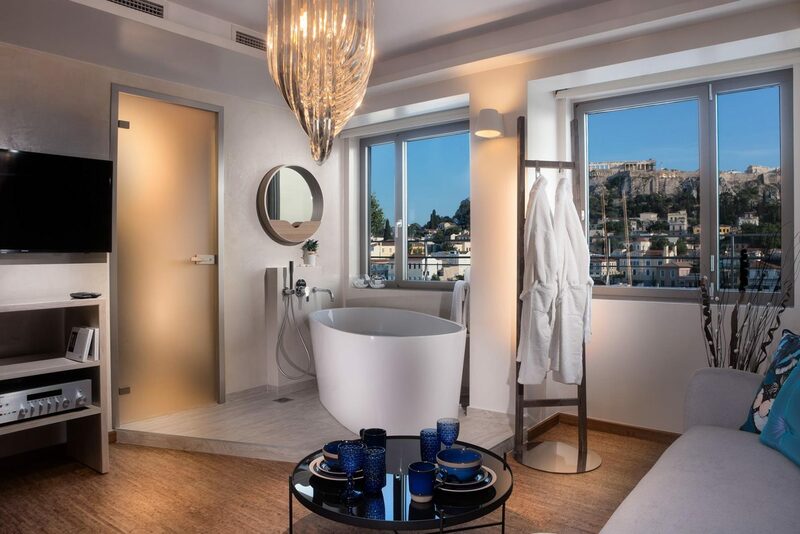 From our wide view rooms and the top floor, you will have the most spectacular view to the Acropolis, with nothing to interrupt your viewing experience.